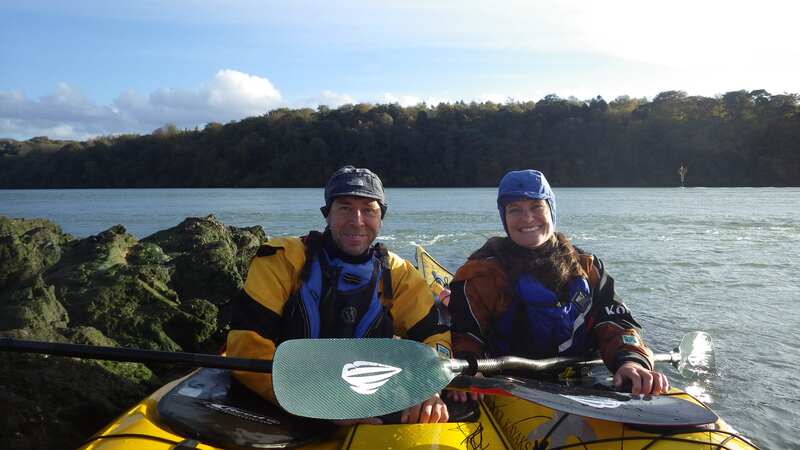 I spent last week in North Wales with my paddling partner Justine Curgenven and her boyfriend Barry Shaw, training and planning for the Aleutians next year. It was my first time in a kayak for nearly a year, and my first decent shot at exercise since coming home from the ocean and my immune system going nuts. It felt good. Really good. Both to be hanging out with Justine and Barry again and to be back on the water. The weather was good to us mostly, with just the right amount of wind to make it useful. The first time I went skiing someone told me to imagine I was carrying a tray of G&T down the slopes. Last week while kayaking Barry told to imagine I was holding a microwave, so as to keep my arms at the right angle for maximum power output and support. Microwaves have never done it for me, so I changed it to a box of doughnuts. Much more my thinking. That and many other little hints and techniques made for a lot of useful learning. 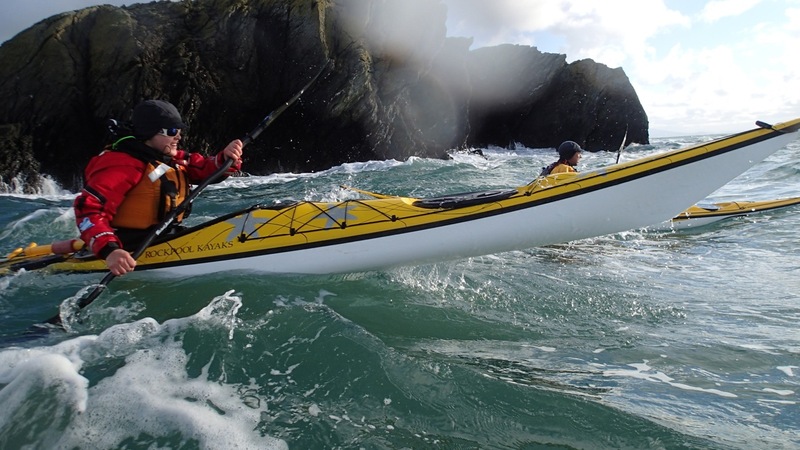 I have never done much technical stuff in a kayak and have just relied on having a good engine, a great wobble reflex and a whole lot of stubborness to get me through. With the 1400 odd miles of very challenging paddling through the Aleutians ahead, it pays to learn some technique and train to get the best out of the boat. 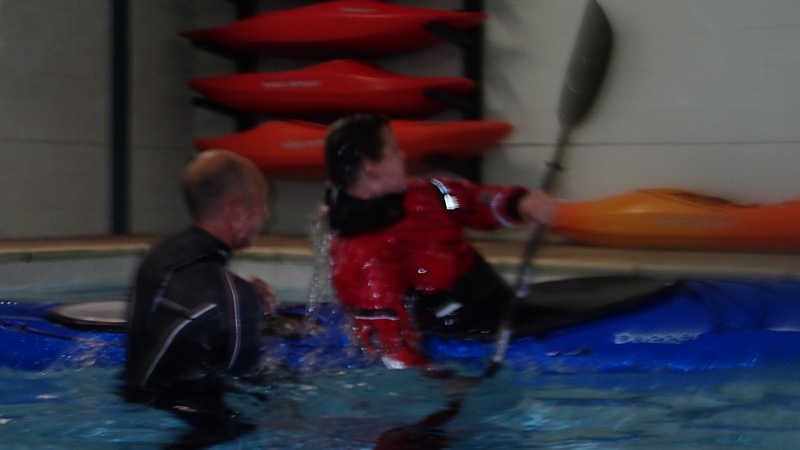 Hence the coaching from Justine and Barry this week, practicing skills in increasingly bouncier water. And hooray and hooray for said skills! Mind and body worked hard to absorb and practice, but it felt sweet to have seen big improvements in both my skill and confidence over the four days of paddling. I’m looking forwards to next month’s installment too. Meanwhile, I am hoping to pick up my kayak Nelson and start paddling on the Thames. While up in Wales I tried a range of boat designs from my kayak sponsor Rockpool Kayaks. In an expedition boat we are looking for a combination of speed, stability, maneuverability with maximum volume for storage. Justine and I will face many weeks alone without resupply options, so need to take as much food and kit with us as possible. I have settled on the ‘Menai’, as much as I hoped I would prefer the ‘GT’ which I could have named the ‘G&T Boat’. It will be a 3-piece kayak for easy transport out to Alaska. 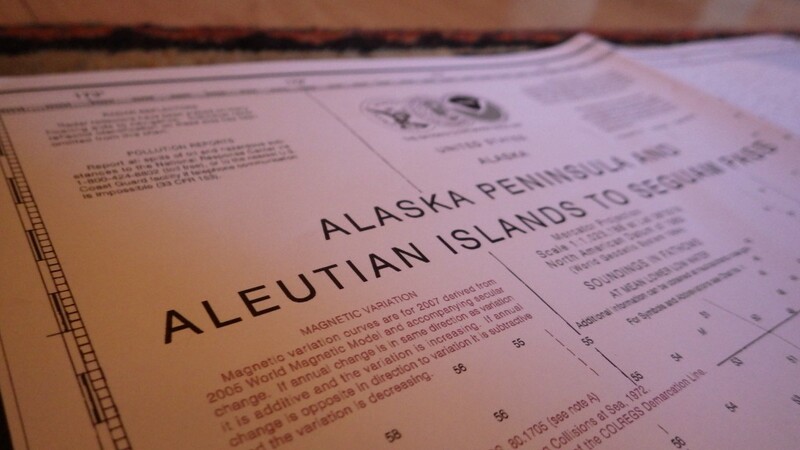 I still get shivers any time I read or hear the word ‘Alaska’, so to spend a week talking and thinking about it and discussing tactics and kit and allsorts with Justine was very exciting. Lying on our bellies across a floor full of nautical charts brought the scale of the challenge to life… so many islands with interesting names and stories to be found and imagined… so many miles and challenges ahead. For now we are gathering as much information as possible on local currents and options for resupply via boat. 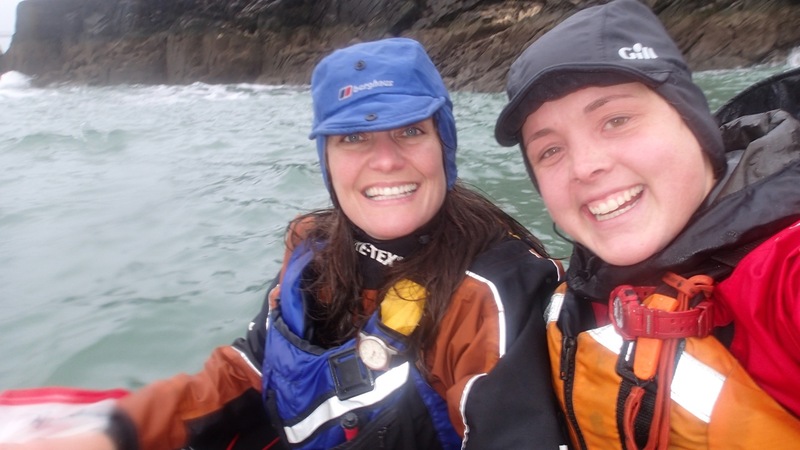 Any sea-going folk from the area or with extensive experience on the water up there, please do get in touch via hello@sarahouten.com. This weekend Justine and I shall be at the iconic Kendal Mountain Film Festival as Justine’s film of our kayaking between London and France and Russia to Japan from the earlier phases of London2Lonon is showing. This can be seen on Friday from 1-4pm, on Saturday between 9-12am and 1-4pm, and 4.30-7.30pm on Sunday. We will both be around during the KEEN Wildwater Session on Saturday in the Town Hall, during which the short version of the film is showing. The main speaker in that session is Eric Boomer talking about a very cool expedition across Baffin Island by kayak, foot and ski. If you can’t make it to the Festival but are interested in the L2L film, it features as one of the films in Justine’s latest DVD ‘This is the Sea 5’’, which you can buy through her website. 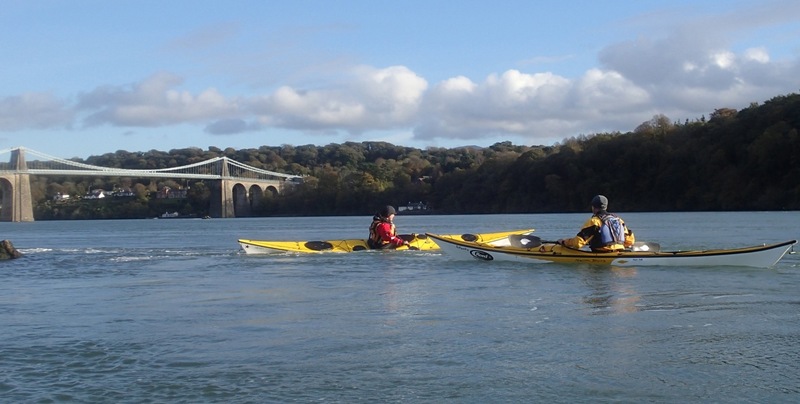 Thanks to Barry and Justine for a great week’s paddling and to Mike Webb of Rockpool Kayaks for the tinkering of boats and support. 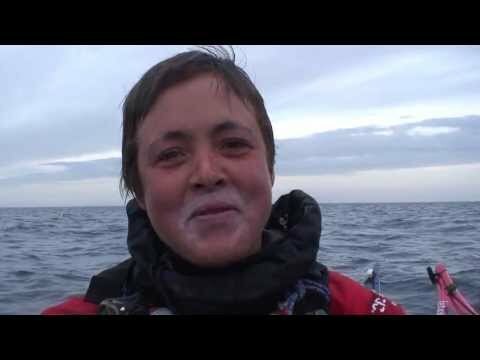 In other news… for those of you following my friend Mylene Paquette on her North Atlantic row from Canada to France, I am happy to report that she made it safely across the finish line this morning. Wishing her a restful, healthy return to land life and huge congratulations from Team L2L. P.S For anyone UK based and planning an expedition or fieldwork, this weekend is the excellent annual Explore conference at the RGS in London. The opening lecture on Friday night is by Emily Penn, an amazing woman with many stories to share of expeditions and conservation. Highly recommended all round. Good to see and hear your latest and so pleased that you have rested and are now with Justine again. What a task ahead but with what you have had up until now you will be able to accomplish it. We shall follow you every step of the way like we have done so far. Many congratulation to your friend Mylene on her achievement too. Take care for now and enjoy all the things that are waiting for you. G&T and donuts? the girls got a few things right. I was so sure you were going to use cupcakes… but doughnuts should do! You supply the cupcakes and I shall hold them in my box Tari! Justine was instructing on towing techniques when at the Bute Womens kayak festival this year. I am sure she could tow you and your supplies…chocolate and donuts… behind her kayak. You then cruise along having an easy journey on your next leg. I hope you had a grand time up in Bute. So very glad that your spirit and mind and body are getting in full conversation again. You must feel as if you are moving forward again. Gotta feel great. I love charts. Buy ’em and read ’em like books. The older ones usually have all kinds of writing on them, about conditions, experiences and incidents. That photo of you ‘bouncing through the waves’ is a priceless shot. It should be headlined on your website. I predict you will find stark beauty, haunting scenes and a feeling of mystery while you experience the Aleutians and especially on BC’s coast. Enjoy your moment, girl. You’re doing us all …wonders. Come to Wales, Alaska! You could do a sub-trip “Wales to Wales: UK to AK.” 🙂 Good luck and cheers! There are moments in life when you just stumble across those truly inspiring things that push you over the top to “do something significant” This is one! “Congratulations!” on your achievement so far and “Best Wishes!” on the achievement remaining!